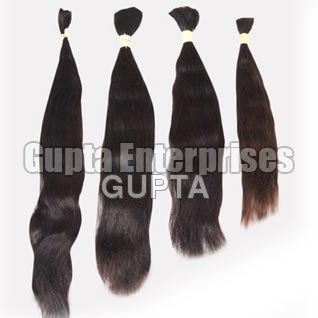 Avail good quality Indian Black Human Hair from us at the most reasonable prices. Procured from Indian temples, the Indian Black Human Hair we offer is 100% natural, thick and beautiful. The lustrous look and rich black color of the Indian Black Human Hair make it perfect for making wigs, hair braiding, weavings and extensions. We offer wavy or straight hand-blended Indian Black Human Hair to the clients in different lengths at fair prices.